Chalk Walk fun AND freedom to make choices! 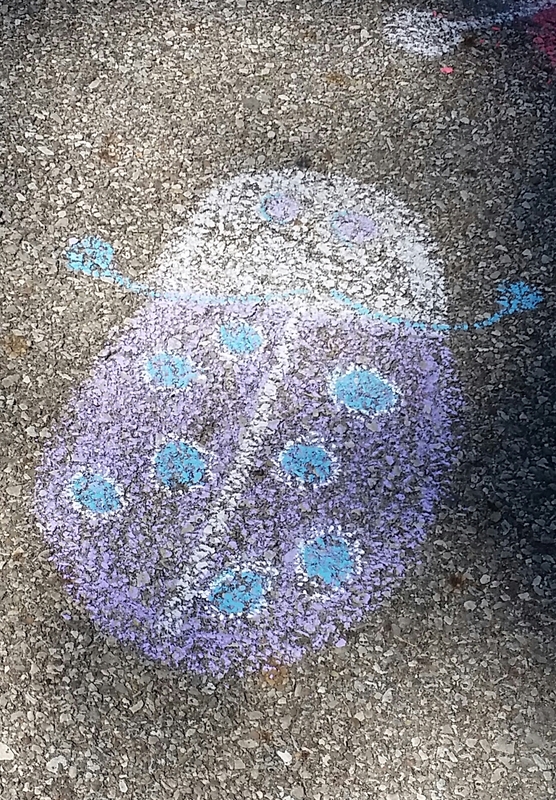 What a beautiful day today was for the annual Chalk Walk in Oberlin Ohio. This has become almost an annual tradition. I get to enjoy time with my friend Kyle! He and his mom look forward to this event every year. This is one of Kyle's choices for his chosen A Place 2B ME. I am lucky that I get to share this time, and support him and his mom. Taking time for all is important. The weather yesterday was not so nice, as we had lots of rain in the Cleveland Ohio area and I was unsure if the event would take place. But, this morning it was beautiful, not humid, a nice breeze and SUN! 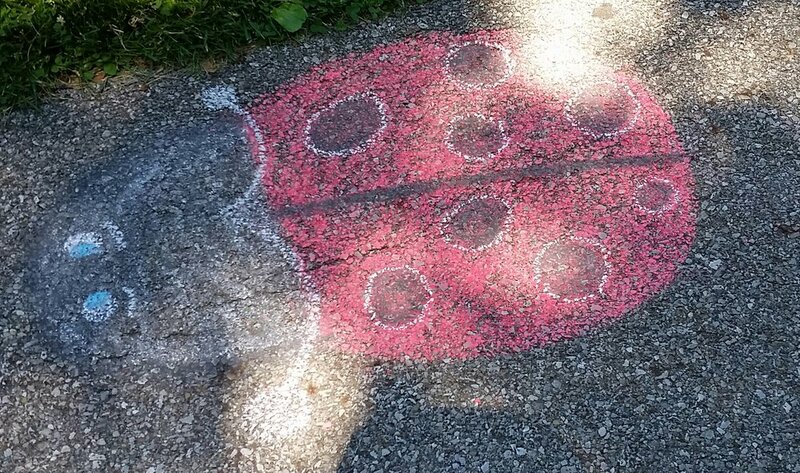 We have chosen an off the beaten path area to meet to create our sidewalk art. Away from all the hustle and bustle of many artisans creating their own unique masterpieces. Tina, Kyle's mom and I have decided that although we may not be gifted artist, the fun of participating, creating and sharing time with friends is the ultimate goal. Kyle on the other hand, well at least for today, was not interested in creating works of art. 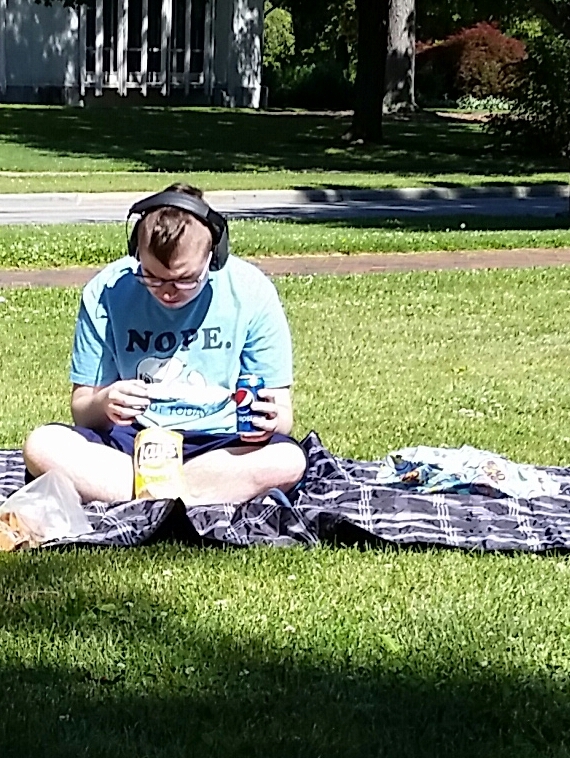 His choice today was sitting on the blanket, eating, drinking his Pepsi, playing on his Ipad, and watching others. At times, we could make requests of him to join us in going for a walk, hiding rocks and just being patient with us as we enjoyed the activity. This was ok, it really is because this day was allowing him to make a few choices of his A Place 2B ME. Eventhough he didn't participate as we had expected, his willingness to wait, be present and allow others was special. The time of being patient allowed others like his mom and myself,to take a moment and be creative. Sharing conversation, enjoying a friend's company and allowing time to just take a deep breath in for a few moments was appreciated. 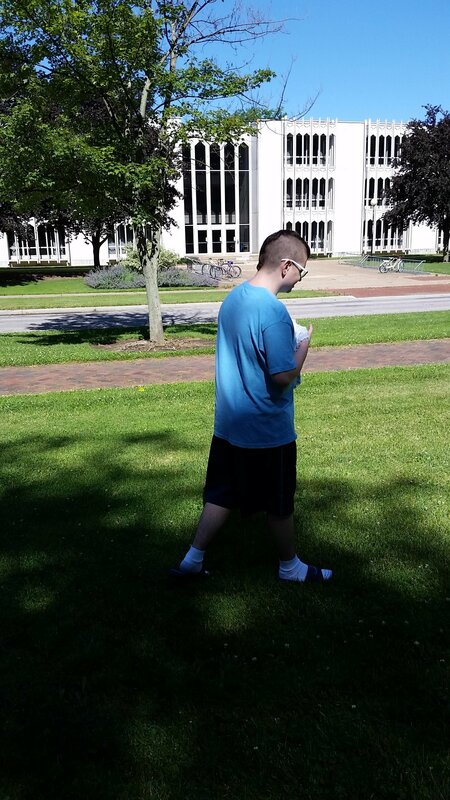 When we were out exploring others works of art, I enjoyed watching Kyle wave to individuals, interacting with them with a hello, and just showing a smile. I feel it was his way of telling us, I am enjoying this day.